When you told me I could get into Indiana, I didn't believe you. Now I'm here and I'm still not sure I believe it. Thank you again -- for everything! Connie made Dean�s List both semesters of her first year, and spent her summer clerking for a Maryland state appellate court. We were supposed to have dinner at the end of that summer, but she had to return to Indiana early to join the Law Review staff. Connie's working for Winston and Strawn in Chicago, where she and her husband have bought a house. There's a good chance I'll get to see her this Forum season. 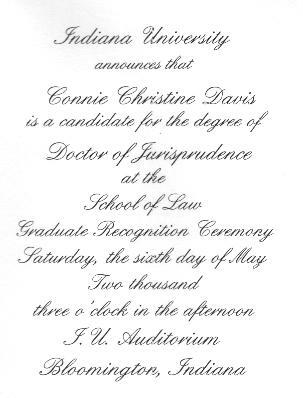 Connie married shortly after graduating law school. 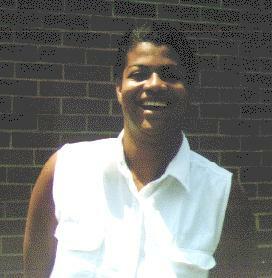 2005 Update: Connie is now legal counsel at Blockbuster Videos' corporate headquarters in Dallas. 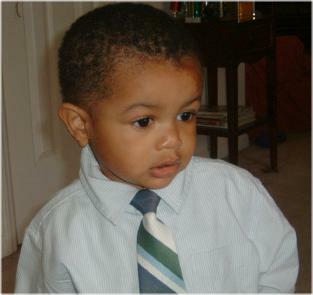 Caden is a year and a bit, and looking very charming in his Easter outfit. 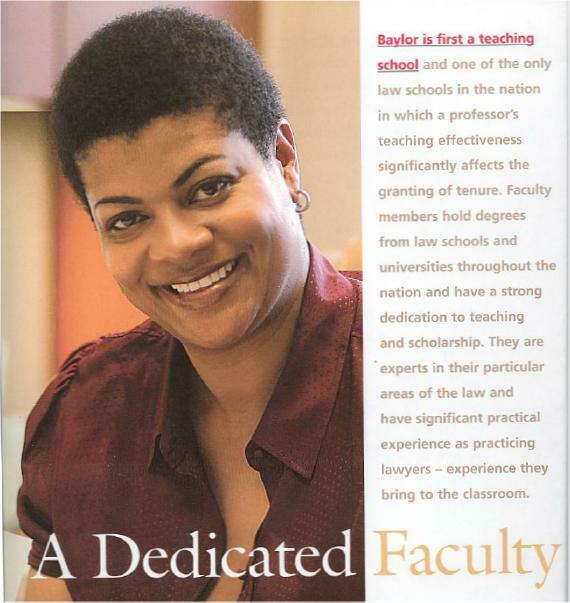 2008 update: Connie's now a professor of law at Baylor! 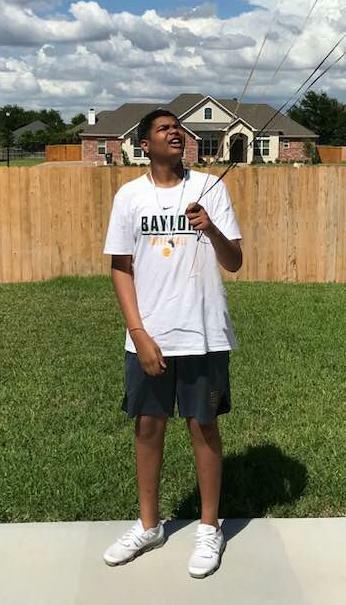 2018S Update: Connie's on my Facebook page, and "little Caden" is now taller than she is! She's as proud as a mother can be, and we see videos of both his basketball shots and his orchestral concerts on a regular basis. As for Mom, she's still making a big name for herself in intellectual property law, specializing in trademarks and copyrights.